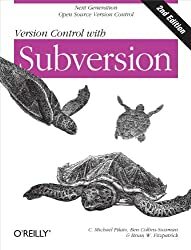 Ben Collins-Sussman was one of the founding developers of the Subversion version control system. He cofounded Google’s engineering office in Chicago, launched Google Code, led two display advertising teams, and now manages teams that power Google’s search infrastructure. He’s currently the engineering Site Lead for Google Chicago, but also collects hobbies—including authoring interactive fiction, playing bluegrass banjo and jazz piano, composing musicals, operating ham radios, and exploring photography. Ben is a proud native of Chicago and holds a Bachelor of Science from the University of Chicago with a major in Mathematics and minor in Linguistics. He still lives in Chicago with his wife, kids, and cats.